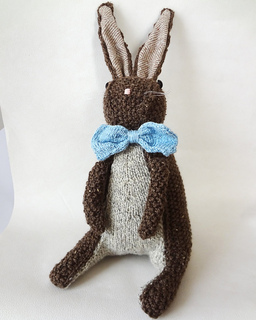 Vintage Rabbit has a classic look reminiscent of the velveteen rabbit. 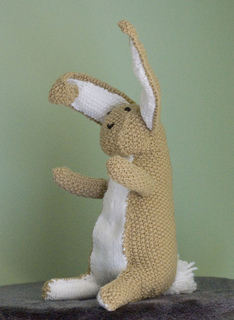 He stands 15” tall – the perfect size for a child’s best friend, or your own knitting companion! Pieces are knitted separately, then seamed together. Note: This is not my original design. It is from a vintage Patons pattern which I’ve modified. Please read all of the comments, as well as other knitters notes before making it. 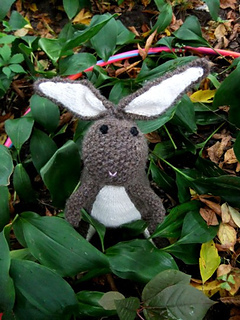 There are some very talented knitters out there who have improved upon my pattern tremendously! And a BIG THANK YOU to all of them!